Using this guide you will be able to get Twitter real estate leads in no time. Contrary to popular belief, getting a big number of followers wont help you get Twitter real estate leads. The only thing a good amount of followers does is show the person viewing your profile that might actually be worth following. I would still argue that it’s not important at all for real estate agents though. This post is about how you can find new people to follow and turn them into not only followers but, actual business. The concept: Use your real life friends to find new followers that are local to you and then engage with them. Step1. Find some of your real life friends on Twitter. Twitter has a import system that you can use to your advantage. 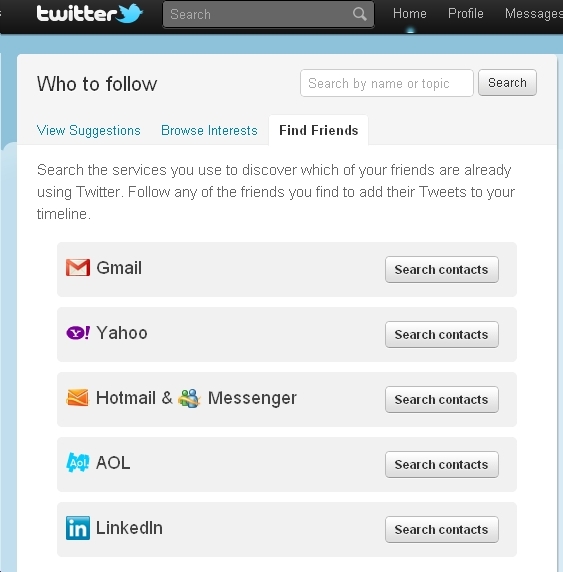 If you have already done business with clients, take their e-mails and use twitter import to see if they’re on Twitter. If they are on Twitter, follow them immediately. Go through their list of followers and follow everyone that you want to work with. Don’t name your list ‘potential leads’ because they can actually see the list and will get a notification that you added them to a list. Just title it something like “Awesome people from California” – flatter them. Step4. Start viewing your list everyday. See what they’re tweeting and engage with them as often as possible. Don’t engage with them buy spamming them your services or even mentioning anything about what you do. If you’re doing this right they will check out your profile and know who you are by the time you even have your first engagement. Andrew(potential lead) tweets: Just had an awesome day surfing, going back home to work for the day! @Andrew sounds amazing, wish I could’ve made it out today – how big were the waves? Your goal is to befriend this people and then ask for their business. Doing it the opposite way around is just bad manners. Step5. After you built a solid relationship with them over the course of weeks, possibly even months. Ask for their business. Make sure you have a relationship before you do this because they may never talk to you again if it sounds spammy. The first time you ask for business can be as something as simple as “Did you see the prices of X(your county here) lately? They have been increasing” – Which should lead to your blog post that you wrote because you’re a marketing genius. Keep in mind, part of being a great real estate agent is having great relationships with people. By targeting fewer people on social media and really engaging with them you have a higher chance to turn individuals into actually leads. Do this everyday and you will have fresh Twitter real estate leads in no time! 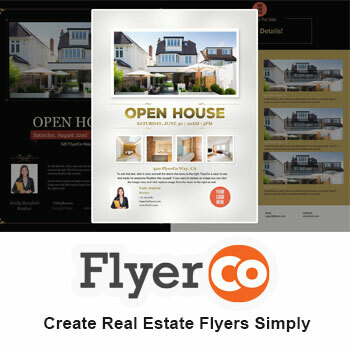 FlyerCo – Create beautiful real estate flyers yourself in seconds. A very good way to follow friends, leads, past customers friends is to use facebook ads to target their look alike. I had have many problems using twitter to promote my real estate business, but in your post you included many ideas that I going to start to apply. Thank you very much!